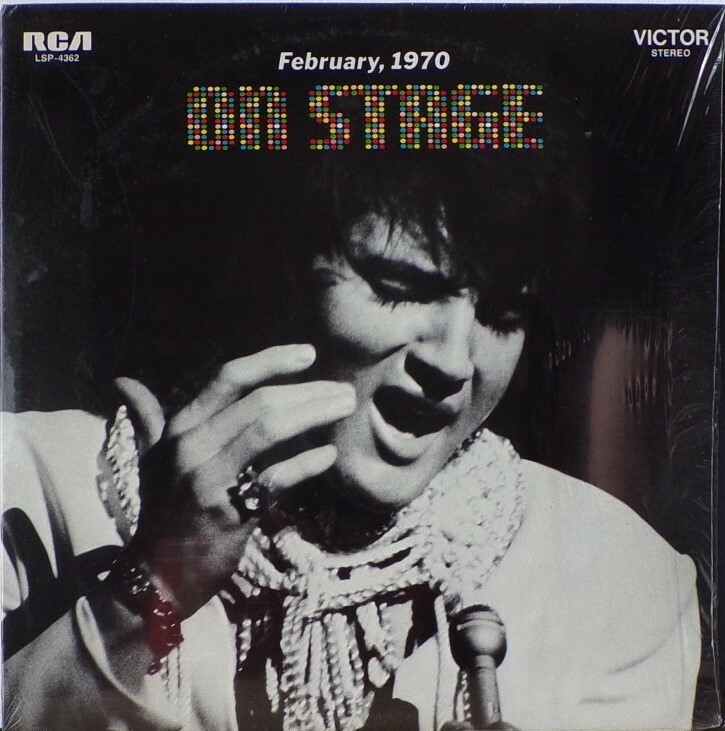 On Stage is an Elvis Presley live album recorded between February 17 and 19, 1970 at the International Hotel, Paradise, Nevada. 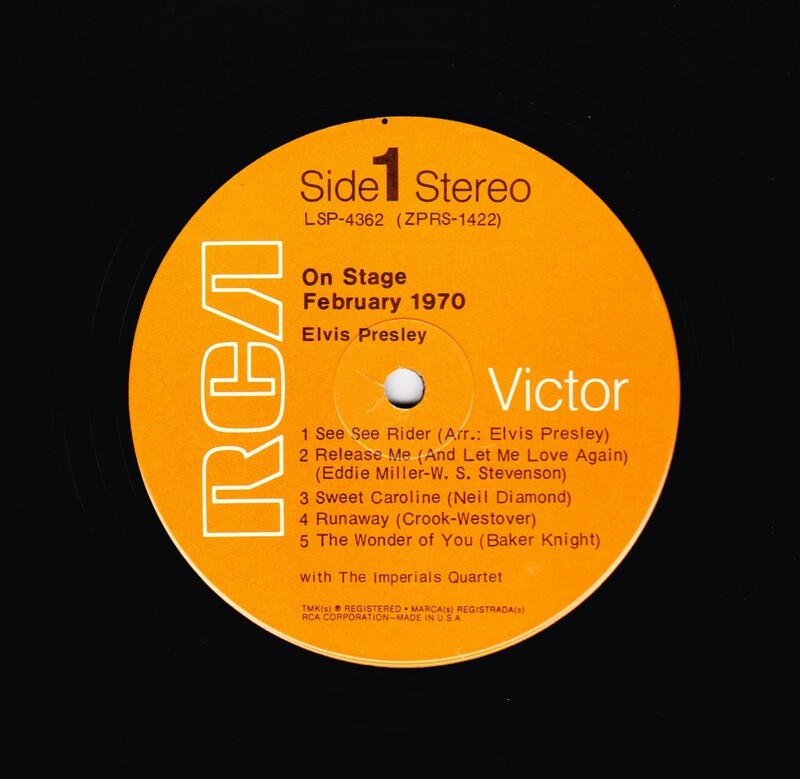 Released on RCA Records LSP-4362.It features the world-wide #1 single "The Wonder of You", which topped both the United States AC tracks chart and the British music chart. 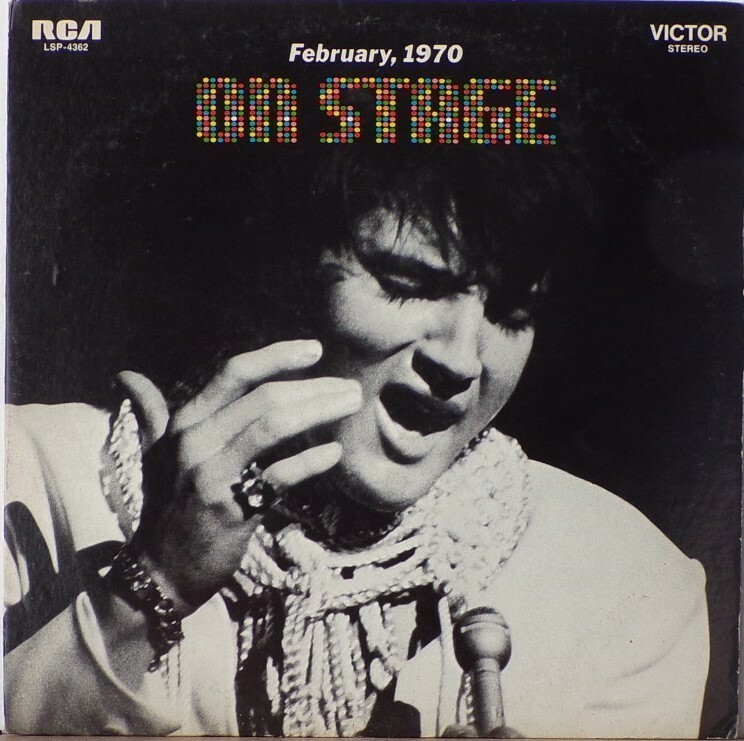 It was an immediate follow up to From Memphis to Vegas/From Vegas to Memphis, which also featured live recordings. 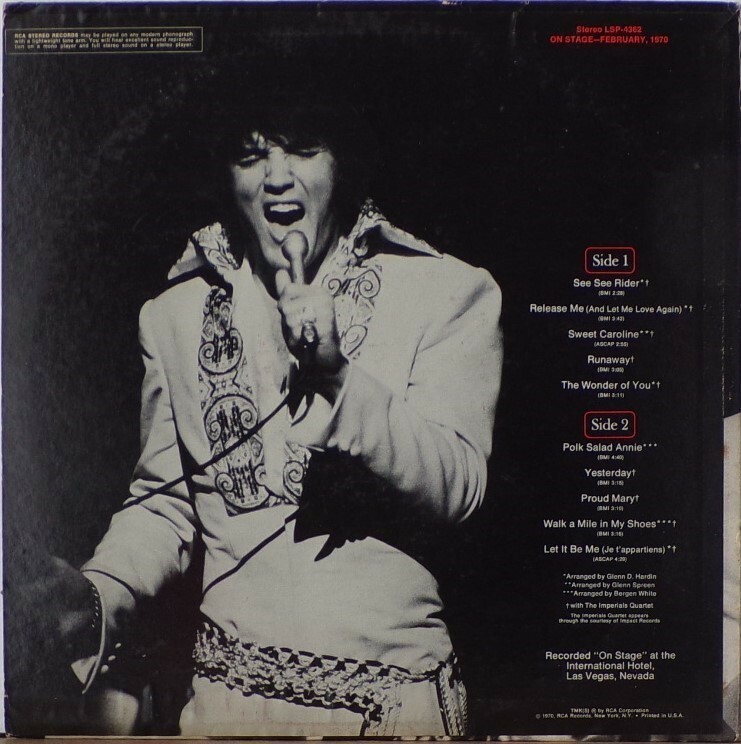 Unlike the previous release, however, this album focused on songs that were not, at the time, associated with Elvis. 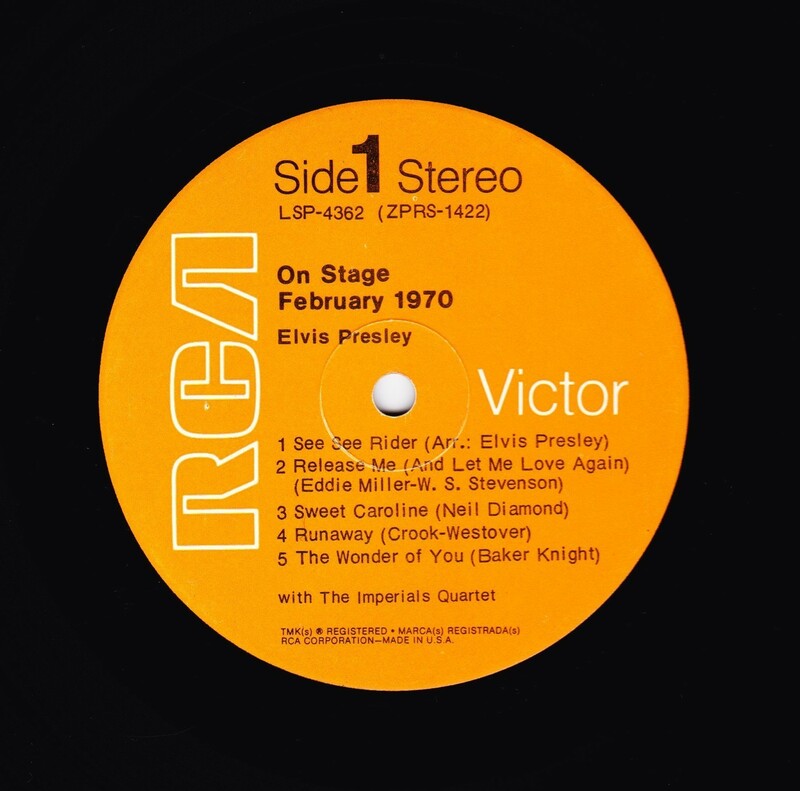 This album was released in June 1970 and peaked on the chart in July 1970. It was certified Gold on 2/23/1971 and Platinum on 7/15/1999 by the RIAA. Other selections include "See See Rider", Paul McCartney's "Yesterday", Tony Joe White's "Polk Salad Annie", Del Shannon's "Runaway", and a version of "Let It Be Me". 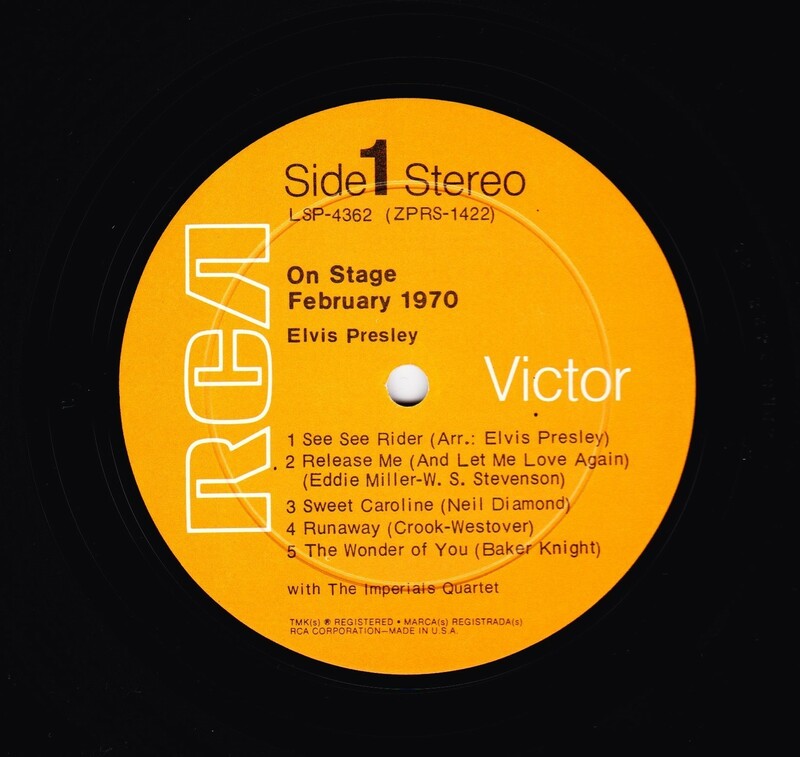 "See See Rider" would go on to become Elvis' frequent introductory number at his concerts, while "Polk Salad Annie" also became a regular part of his repertoire. The album is notable for not showing Elvis' name anywhere on the cover. The album has remained in print since its release date and has sold more than ten million copies globally. 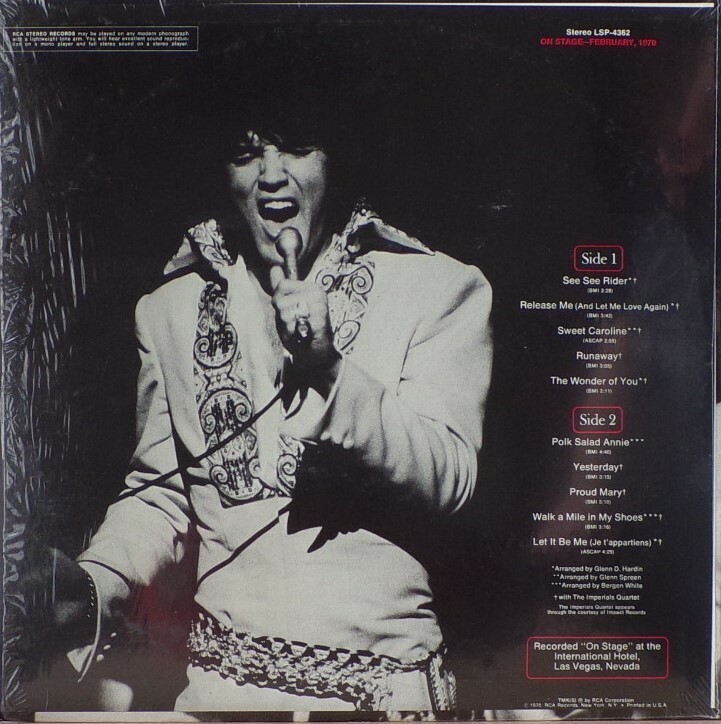 On January 8, 2010 it was announced that a Legacy Edition would be released, to follow the Legacy Edition release of "From Elvis In Memphis", in the spring of 2010. Front Cover : Photo of Elvis. Title on top. Catalogue number top left. *NOTE* The catalogue number & album title on the rear cover is in complete red lettering. 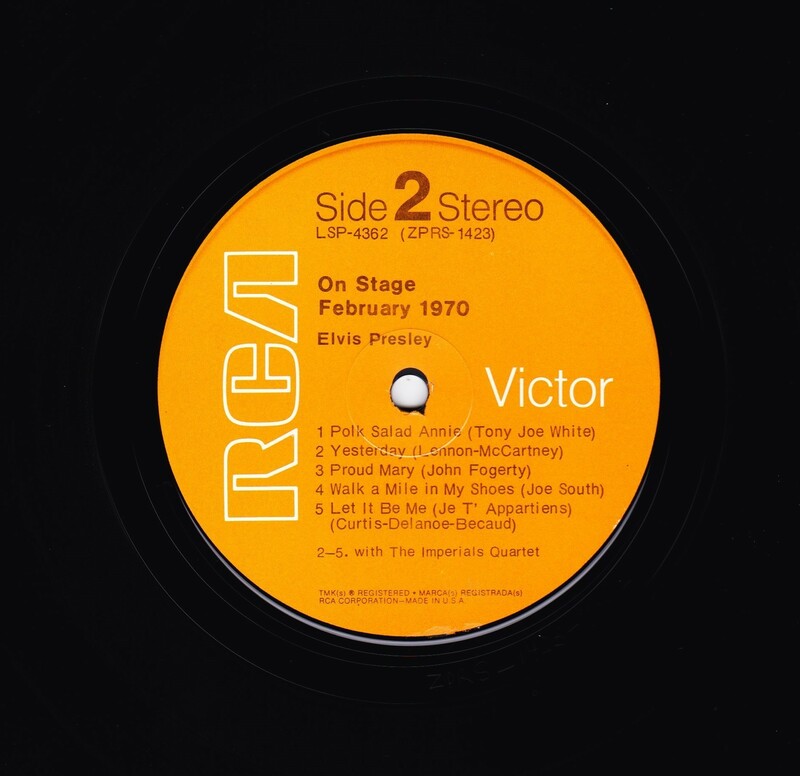 The side 1 , side 2 & at the bottom text box with recording announcement are surrounded by a red border. Label : Orange. Non Flexible vinyl.